Sunroof, NAV, Heated Leather Seats, iPod/MP3 Input, Turbo, Hybrid, Full-Time 4MATIC® All-Wheel Drive, Alloy Wheels, HEATED & ACTIVE VENTILATED FRONT SEAT... HEATED STEERING WHEEL, REAR DECK SPOILER, AMG® LINE, HEAD-UP DISPLAY, PREMIUM PACKAGE, DRIVER ASSISTANCE PACKAGE, BURMESTER SURROUND SOUND SYSTEM, PARKING ASSIST PACKAGE. EPA 30 MPG Hwy/23 MPG City! Polar White exterior and Black interior, CLS 450 trim. CLICK ME! KEY FEATURES INCLUDE Leather Seats, Navigation, Sunroof, Full-Time 4MATIC® All-Wheel Drive, Turbocharged, Hybrid, iPod/MP3 Input, Onboard Communications System, Aluminum Wheels, Remote Engine Start, Dual Zone A/C, Smart Device Integration, Blind Spot Monitor, Heated Leather Seats. MP3 Player, Keyless Entry, Steering Wheel Controls, Child Safety Locks, Heated Mirrors. OPTION PACKAGES DRIVER ASSISTANCE PACKAGE emergency stop assist, evasive steering assist, Active Blind Spot Assist, Advanced Driver Assistant System, Active Speed Limit Assist, Active Brake Assist w/Cross-Traffic Function, Active Lane Change Assist, DISTRONIC® PLUS, PRESAFE brake, Route-Based Speed Adaptation, CMS Rear, DISTRONIC® PLUS w/Steering Assist, PRESAFE® Impulse Side, PARKING ASSIST PACKAGE Parking Assist Code, Surround View System, Active Parking Assist, active parking assist BUY FROM AN AWARD WINNING DEALER Welcome to Mercedes-Benz of Colorado Springs. Thank you for taking a moment to view this vehicle. We are one click away for a live chat, send an email, call or visit in person. Whether you are visiting to gather information, search for a new or pre-owned vehicle, we hope to provide the highest level of assistance. Please feel free to request additional information or set up an appointment. We're here to make your shopping simple. Horsepower calculations based on trim engine configuration. Fuel economy calculations based on original manufacturer data for trim engine configuration. Please confirm the accuracy of the included equipment by calling us prior to purchase. Offer is valid through 2019-04-25.Sunroof, NAV, Heated Leather Seats, iPod/MP3 Input, Turbo, Hybrid, Full-Time 4MATIC® All-Wheel Drive, Alloy Wheels, HEATED & ACTIVE VENTILATED FRONT SEAT... HEATED STEERING WHEEL, REAR DECK SPOILER, AMG® LINE, HEAD-UP DISPLAY, PREMIUM PACKAGE, DRIVER ASSISTANCE PACKAGE, BURMESTER SURROUND SOUND SYSTEM, PARKING ASSIST PACKAGE. EPA 30 MPG Hwy/23 MPG City! Polar White exterior and Black interior, CLS 450 trim. CLICK ME! 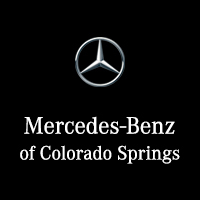 Leather Seats, Navigation, Sunroof, Full-Time 4MATIC® All-Wheel Drive, Turbocharged, Hybrid, iPod/MP3 Input, Onboard Communications System, Aluminum Wheels, Remote Engine Start, Dual Zone A/C, Smart Device Integration, Blind Spot Monitor, Heated Leather Seats. MP3 Player, Keyless Entry, Steering Wheel Controls, Child Safety Locks, Heated Mirrors.